ASUS has been known in the smartphone market for being the go-to brand when consumers look for luxury specifications without a price tag that breaks the bank. 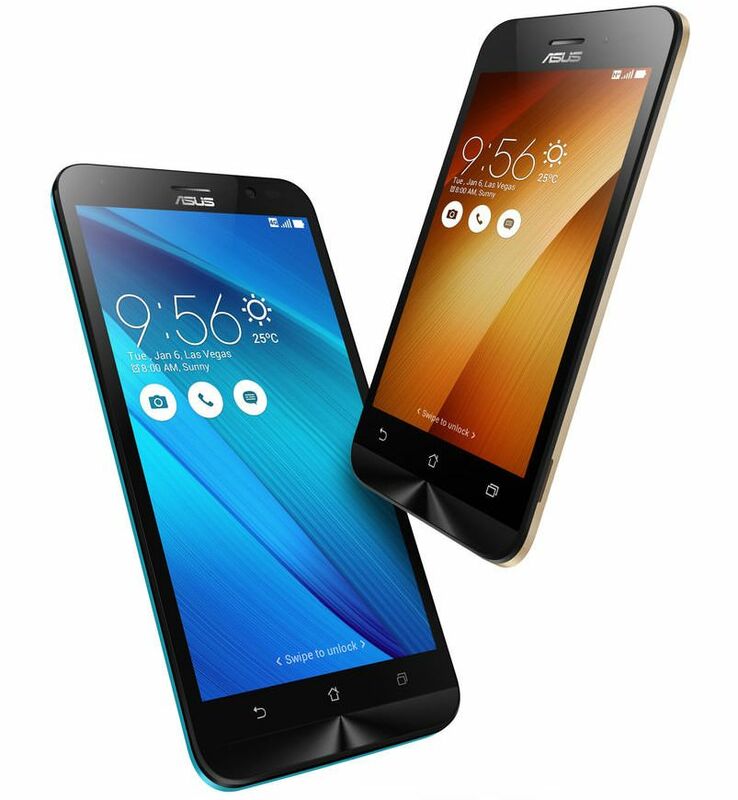 The latest offering from the company on these lines is the Zenfone Go 4.5 2nd generation. With a metallic hairline finish, the phone, at the first glance itself resembles a premium product. The phone also comes with an ergonomic arc design, managing to be only 3.6 mm at its thinnest edge. This feature, along with the rear key positioning on the phone allows the user to have intuitive one hand control, thus, making it really easy to multitask. The finish on the phone can be attributed to the unique, molding techniques which in turn, has ensured that the phone does not weigh on the heavy side. All of this, has resulted in a phone, which is easy for the user to hold and experience. The company has further compressed the powerful processor, the dual sim card, and the thin design in such a way, that the form factor of the phone retains its usability quotient. One important aspect of their design is the positioning of the buttons. This has ensured that both, right-handed and left-handed people can use it with equal ease. The phone is also available in a variety of colours to suit your mood and personality. Coming to the camera specifications on the phone, it comes with a rear camera of 5MP and a front camera of 0.3MP. While the 5MP camera might not look like a big deal to us tech experts used to camera specifications of 13 MP and higher, but for a price tag of just Rs. 5,299 – this camera manages to be very appealing. However, ASUS is also offering users an additional choice, in this category, as there is a second variant of the ZenFone Go 4.5 2nd generation that comes with a rear camera of 8MP and a front camera of 2MP priced at Rs 5,699. This variant would definitely satisfy the clicking enthusiast in you. Apart from this, it’s really the features that come built into the camera that excites the reviewer in me. Along with the ‘PixelMaster’ technology unique to ASUS, also inbuilt into the phone are a total of 16 different modes- be it for clicking pictures during the day or night. The zero shutter lag also ensures perfect photos in a snap. This mode reduces the shadow effect and therefore allows the images to have a better brightness and contrast factor by expanding the dynamic range of the shot. The detailing results in flawless images captured- all the time. This feature increases the light sensitivity of the image by up to 400%, while reducing the noise and boosting the colour contrast every time. A feature that allows the users to produce clear and bright images in low light as well – this camera is ideal for users who do not wish to worry about the light condition when capturing something they like. On your endless selfie clicking rampages, when out with friends, this phone is your perfect companion, as the beautification mode subtly balances the facial features, softens the tones and removes blemishes to make you and your friends look even better. Just when you think that was enough for all your clicking needs, the phone also has built-in MiniMovie application. This application allows users to combine different photos into short movies which can be further made interesting by adding musical notes and text of your choice. Your creations can then be quickly shared through social media, email, cloud services, and YouTube. Despite being in the budget category, the phone still comes with adequate storage capacity – a 1GB RAM, which ensures that you never have to worry about seeing the dreaded – ‘phone capacity full’ message pop up on your phone. The Zenfone Go 4.5 2nd generation additionally offers 100 GB of accompanying Google Drive storage – that too, free for 2 years! You would have to redeem the offer on the Google Drive app by April 1st, 2018. 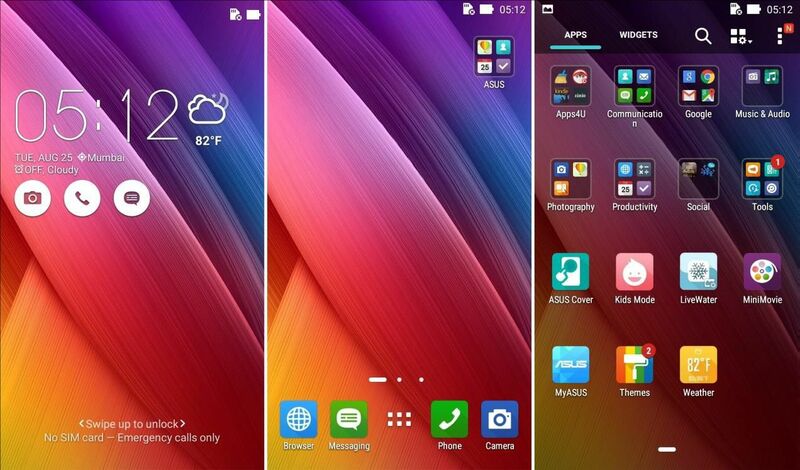 Personally, my favorite aspect on ASUS’ Zenfone range is the ZenUI; it is ASUS’ personalized gift to its users. With a new visual design and features, it allows for classic customization on your phone. The ZenUI is simple, beautiful and brilliant all at the same time. It allows you to have a lock screen accompanied by a customizable font and icon. It has redesigned icons, optional folders, weather and time widgets different, and a variety of ASUS color themes for your use. Further, within the ZenUI, the idea that excites me the most is the ‘ZenMotion’- which allows users to access everything on their phone with just an easy swipe to launch a variety of applications, see notifications of incoming messages, missed calls, and a lot more. It also has a new Boost feature- which acts like your phone’s personal clean up assistant- just by tapping the icon, Boost will clean up background applications to free your phone’s memory and increase its speed. In particular, for this, one has to simply swipe up on the home screen to access easy customization tools. You can then go ahead and choose your wallpaper, pick your icons and arrange your apps in a moment. The phone matches your needs of smart and quick performance at every step with its Qualcomm quad core CPU@1.2GHz, and dual sim-dual standby feature. Additionally, the SonicMaster Technology delivers crystal clear sound to your ears, satisfying the music-lover in you. The phone is also probably more obsessive than you, about conserving power especially when searching for a signal, thus significantly increasing its standby time. It has an advanced antenna design that ensures fantastic performance, even in areas with poor signal. Be it for your social media needs, or your routine daily tasks, the phone has adequate capability built into it, to offer a power-packed performance. To conclude- this phone is perfect for those users that look for class, appeal and performance, without burning a hole in their pocket. The variant with the 0.3MP/5MP (front + rear) camera being priced at just Rs. 5,299, and the 2MP/8MP (front + rear) camera at INR 5,699; it can literally be the ‘Go-To’ phones for the budget smartphone section and is bound to make heads turn when you take it out in public. With multiple features on it, that still do not compromise on build, aesthetic or specifications quality, the Zenfone Go 4.5 2nd generation does all that and more, acting like the ultimate ‘Zen’ companion to your fast paced life.